Brew Babies Garden Bistro will host the first Love That Dress! Dress Collection Party ever held in Cape Coral, on June 18 from 5 to 7 p.m. located at 1520 Lafayette Street, Cape Coral, FL. Celebrity bartenders including Representative Heather Fitzenhagen, County Commissioner Brian Hamman, Cape Coral Mayor Marni Sawicki, Foodie Blogger and Television Personality Gina Birch and PACE Executive Director Meg Geltner will serve up three different $5 signature Love that Dress! 6 cocktails. Brew Babies Garden Bistro owners Wayne and Valerie Elam have graciously offered to donate 5% of all dinner proceeds and 50% of the signature drink proceeds that night to Pace Center for Girls, Lee. Dinner reservations are being accepted for 7:30 p.m. Reservations are strongly encouraged prior to the event by calling (239) 542-2224. Attendees will enjoy fabulous food and beverages, a raffle, and silent auction items including gift baskets from Brew Babies and Wicked Dolphin. Author and Germany’s first woman stockbroker, Thea Rosenbaum, will be signing her new autobiography, No Place for a Lady, contributing 10% of each book sale. Guests are encouraged to bring new or gently loved dresses, shoes, handbags and accessories to donate. Beach-to-ball gown-to-bridal…GAP to Gucci… are all accepted. In lieu of a donated item, guests may donate five dollars to PACE Center for Girls. The dresses and accessories collected will be included in the “Love That Dress!” event on August 27th from 6-9pm at Embassy Suites in Estero, which is open to the public. 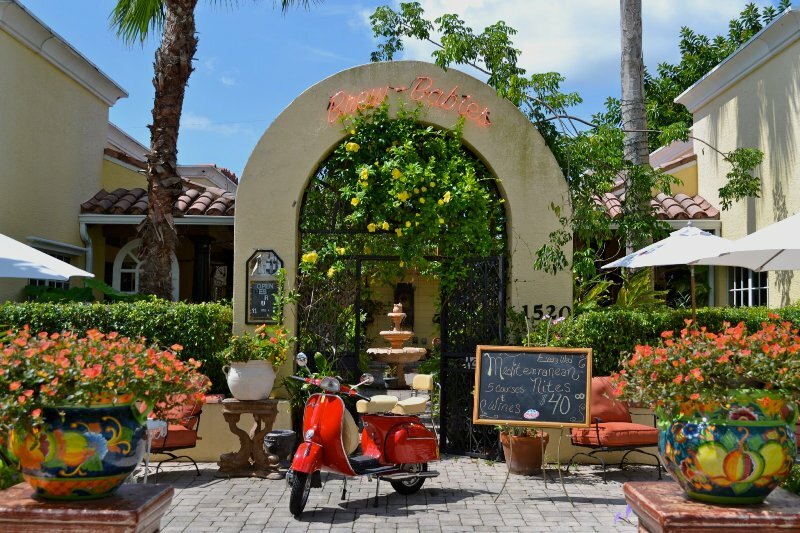 Brew Babies Garden Bistro, located at 1520 Lafayette Street in Cape Coral, was created by long-time Southwest Florida residents Wayne and Valerie Elam and has become the leading jazz venue in the area. The music, freshly prepared bistro-style food and ever-changing menu has earned this charming restaurant a loyal following. The seafood, steaks and homemade desserts, along with the elegant yet relaxed atmosphere have made it a hit with locals and snowbirds alike. Please go online to www.pacecenter.org/centers/lee/lee-ltd/collection-parties and view the calendar of upcoming dress collection parties in June and July leading up to the big event.